Antique Matte Peacock Lakshmi Hair Clip Juda Pin is a wonderful gift For Women, Girl. Temple Goddess Lakshmi wedding hair accessories with kemp stone and pearls in a matte finish. It is a beautiful Birthday or anniversary gift. This piece of jewelry is placed on top of the head. This Sun and Moon ornamants is used for Bharatanatyam, Kuchipudi and other Indian classical dance performances. Fashion floral stone Hijab pin/Scarf Pin/Maftha pin or Brooch. This can be wear at Wedding, Party or any other occasions. It is a good choice of gifting. Fashion floral stone Hijab Pin/Scarf Pin/Maftha Pin or Brooch. This can be wear at Wedding, Party or any other occasions. It is a good choice of gifting on Eid. 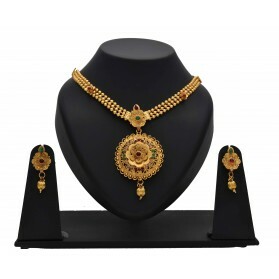 This gold-toned imitation dance jewellery White and Greenstone with Pearl hangings headset have three pieces of jewellery - Sun, Moon and 3-way tika. 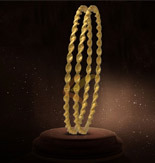 This piece of jewellery can be used for Bharatanatyam, Kuchipudi and other Indian classical dance performances. Gold plated Red and White stone traditional Maang Tikka/Netti chutti which can go along with any traditional dress for engagement and wedding parties. Gold plated traditional Simple Maang Tikka/Netti chutti which can go along with any traditional dress for engagement and wedding parties. This piece of Blue and White stone studded Imitation Temple Jewellery Rakodi/Billai is placed on top of the hair bun to cover the hair. This is on the back side top of the dancer's head. This piece of jewelry can be used for Bharatanatyam, Kuchipudi and other Indian classical dance performances. This piece of Green and White stone studded Imitation Temple Jewellery Rakodi/Billai is placed on top of the hair bun to cover the hair. This is on the back side top of the dancer's head. This piece of jewelry can be used for Bharatanatyam, Kuchipudi and other Indian classical dance performances. This piece White stone Rakodi/Billai is placed on top of the hair bun to cover the hair. This is on the back side top of the dancer's head. This piece of jewelry can be used for Bharatanatyam, Kuchipudi and other Indian classical dance performances. 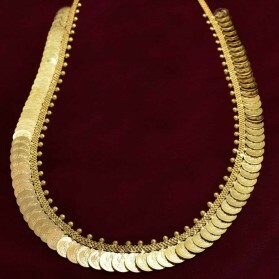 Antique Gold Plated Stone Maang Tikka|Nethichutti is Indian traditional wear. It has gold plated designer chain with a golden ball and Tikka is studded with teardrop shaped Red and White stones or Pearls. This simple Matha Patti can go along with any traditional dress for engagement and wedding parties. 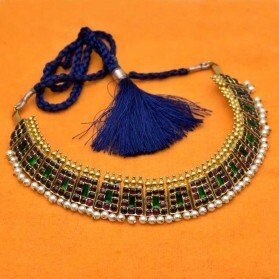 Antique gold plated Kemp or Pearls and Whitestone traditional Maang Tikka/Netti Chutti which can go along with any traditional dress for engagement and wedding parties. 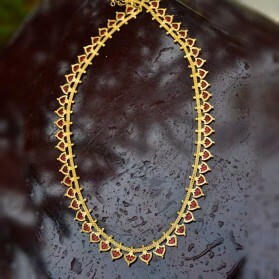 Gold plated traditional Simple Heart design Maang Tikka/Netti chutti which can go along with any traditional dress for engagement and wedding parties. Antique Design Gold Plated beautiful Kundan Stone traditional Maang Tikka for Indian Women which give Pretty look along with any traditional wear on engagements and wedding parties. Antique Kundan stone traditional Maang Tikka/Netti chutti/Matha Patti which can go along with any traditional dress for engagement and wedding parties. 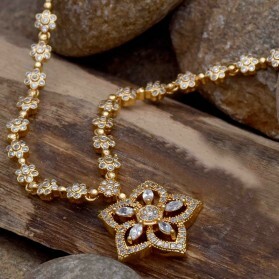 Antique Kundan stone traditional Maang Tikka/ Matha Patti / Nethichutti which can go along with any traditional dress for engagement and wedding parties.